We Love Dogz Outdoor Doggy Day Care offer a full day supervised fun and exercise for your dog. Visit our website today to check out how it works and enrol your dog. 36 Hampden Road Artarmon NSW 2064 info@welovedogz.com.au https://www.welovedogz.com.au/. 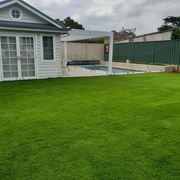 A Grade Above The Rest Quality Landscape Design and Construction - Tiling & Paving - Pathways & Driveways - Stonework - Stone carving - Timber decks - Brick & Block work - Water features - Retaining walls - Staircase - Garden Designs Email:	agradelandscapes@live.com.au Website:	https://www.agradelandscapes. We at Aussietranslations provide professional translation services at very competitive prices. We believe in delivering outstanding services for every language and every project with 100% client satisfaction. Our services include of all types of Translation like medical translation, legal translation, marketing translation, technical translation, migration translation and business translation. Zenith is specialised in thermometer calibrations. If you believe your thermometer is not working properly, or even if it may be performing inefficiently, we are here to bring expert knowledge and experience through our team, who will ensure your thermometer is calibrated perfectly. We are an Australian company offering complete instrumentation solutions including Sales, Service, Repair, Calibration and Installation. Website: https://tinytowerstand.com Address: L1, 125 York St Sydney NSW 2000 Australia Phone: 8886521502 The Big Tiny Co was founded in 2015 by Matt Cramsie and Anhtai Anhtuan. We are passionate about beautiful design, flexible working and better health and wellbeing. We want to help you work in a way that enables technology to better fit your lifestyle – and not the other way around! The Big Tiny Co is located in beautiful Sydney, Australia. Do you currently work in the real estate industry as a Certificate of Registration holder and want to gain the full licence - but don't want to undertake training in areas that you have experience in? At REINSW, we offer Real Estate Agent Courses program. You can attain this qualification by successfully completing all in the REINSW Real Estate Licence program over a period of 12 months. Headquartered in Sydney & providing a national customer support network that offers business of all sizes a wide range of award winning Ricoh print, workflow and meeting room technology. Working together with clients we design an individually tailored solution to streamline document workflows, to eliminate wastage and reduce costs. Are you looking to buy coffee franchise? Contact us, we offer aspiring entrepreneurs with a great business opportunity with a proven turnkey system and full ongoing support. http://lavacoffee.com.au/. 20% off on your First order with Midori Sushi and Roll, Use Promo Code OZ10. We are conveniently located 11A Bay Drive, Village Shepherds Bay, Meadowbank 2114 Australia. We serve delicious combinations of Asian, Japanese cuisines. Our menu includes a wide array of flavourful dishes such as Rolls and Boxes, Bento Box, Don, Yaki Soba, Yaki Udon, Korean Food, Drinks and more. 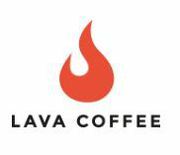 Are you looking for coffee franchise? Contact us, we offer aspiring entrepreneurs with a great business opportunity with a proven turnkey system and full ongoing support. https://fibonaccicoffeefranchising.com.au/join-our-group/. Our team of Financial Planners are specialists in the Aged Care industry and have been helping Australian families for over years. We understand the stress and confusion associated with important financial decisions families face around Aged Care..
Musturf are your one stop shop for all things turf. We grow and supply the very best in Australian turf varieties. We will prepare your area and lay your turf using the latest best practices in the turf industry. We also offer lawn care maintenance, whatever you need we’re here to help you with your lawn care needs. Astor Homes is a well-established home builder in Sydney, Australia. We have expert team of architect & builders in our company. We design and build imaginative, designed and specified custom & luxury homes that are individually design to your specific needs, lifestyle aspirations and equipment level and budget, so you can achieve your luxury. 10% off on your First order with Exquisite Thai Restaurant, Use Promo Code OZ10. We serve exclusive Thai cuisine. We are currently located on 1115 Pittwater Rd, Collaroy NSW 2097 Australia. We serve delicious Thai Specials with flavourful dishes such as Thai Specials - Satay Chicken Skewers, Pad Thai, Entrée - Fish Cakes, Dim Sim, Soups - Tom Yum, Tom Kha, Thai Salads, Stir Fried - Cashew Nut, Oyster Sauce and more. We offer affordable mobile phone repairs services in the Australia including devices from iPhone, iPad, Samsung, HTC, LG, Sony, Nokia and more! No matter what problems arise on your mobile devices, from insensitive home button to screen replacement..
10% off on your First order with Hawa Charcoal Chicken, Use Promo Code OZ10. We serve exclusive Lebanese cuisines. We are currently located on 43-45 South St, Granville NSW 2142 Australia. Our exotic Lebanese menu includes Shawarma, Extra Skewer, Yoghurt, Eggplant, Hot Chips Roll, Sausage Roll, Coleslaw, Chicken Nuggets, Wicked Wings, Wedges and more. 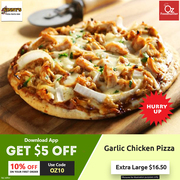 Get 20% OFF On your First Order with Bay Pizza Restaurant, Use Promo Code OZ10. When you pay online. 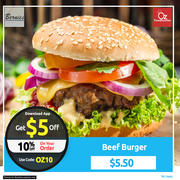 T&C – This offer is applicable to only Ozfoodhunter registered users. Download Now: https://goo.gl/4XPBpx Order Now: https://ozfoodhunter.com.au/bay-pizza. Byron bay homemade style pizza catering offering an all you can eat party with excellent food and great service. We create a friendly atmosphere where people can see our live cuisine and enjoy homemade products website	https://www.byronhomemadepizza.com/ Phone number	04 7910 5904 Business E_mail	byronhomemadepizza@gmail. We have set up a division to help people with Electrical Emergencies in whether it be Commercial, Residential or Industrial. 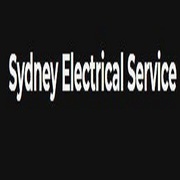 Sydney Electrical Service is a fully licensed and insured electrical contractor company offering a wide range of services, large and small, for clients in Sydney Metro. Powered by a customer – first approach, we have prided ourselves in providing top quality work at reasonable prices by paying attention to detail and practicing precision craftsmanship—that is why we can GUARANTEE ALL of our work. 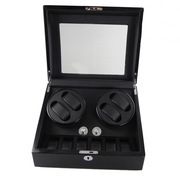 watch winder with good quality and affordable prices from Kingsley Co Australia site. It has a brown and black striped wooden look with a silver strip in the center. We want you to be rest assured that your purchase is right for you and your watch collection. Seeking watch winder Australia with good quality and affordable prices from Kingsley Co Australia site. Get 20% OFF On your First Order with Balusu's Indian Cuisine, Use Promo Code OZ10. When you pay online. 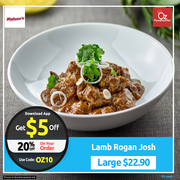 T&C – This offer is applicable to only Ozfoodhunter registered users. Order Now: https://www.ozfoodhunter.com.au/balusu-s-indian-cuisine. Get 10% OFF On your First Order with Bernie's Takeaway, Use Promo Code OZ10. When you pay online. T&C – This offer is applicable to only Ozfoodhunter registered users. Order Now: https://www.ozfoodhunter.com.au/bernie-s-takeaway. Looksmart Alteration is Australia leading group of tailors, we have 120 stores throughout Australia and New Zealand and continue to grow. We have served over a million customers since 1994 and take pride in giving you fast, courteous, inexpensive tailoring..
Get 10% OFF On your First Order with Vinnys Pizza Pasta & Ribs, Use Promo Code OZ10. When you pay online. T&C – This offer is applicable to only Ozfoodhunter registered users. Order Now: http://vinnys-pizza.com.au/. Aussie Translations ensures relaible and appealing brochure translation by the team of experts. When working on brochure translation projects, the content is carefully constructed to appeal to your potential clients and customers.The translators at Aussie Translations are qualified and experienced to provide translation services like medical and legal document translation, business brochure and marketing translation, technical and migration document translation. High end fashion boutique and Non-traditional Bridal Store. Off the rack limited treasure designs, made with love. https://www.anaessia.net/ anaessia1@gmail.com 0412 444 148 The Strand Arcade, Shop 112, Level 2/412-414 George street Sydney NSW 2000 Australia. Other services Sydney ads Sydney, Other services classifieds Sydney, Other services free ads Sydney, ads for sale Sydney, ads to buy Sydney, FREEADSAustralia Page number 3-1. Find here ads for sale, to buy and rent in Sydney. Goods for sale in Sydney, vehicles for sale in Sydney, Sydney real estate for sale, Sydney property for sale, property for rent in Sydney, business ads in Sydney, Sydney business classifieds, services in Sydney, Sydney services ads, jobs in Sydney, pets for sale in Sydney, Sydney dating, Sydney cars for sale.